Technology and engineering solutions company Bosch India today launched its first accelerator programme for start-ups called DNA - discover, nurture and align -- to gain a foothold in the country's booming start-up market. This is first time Bosch would be working with external start-ups to mentor and get them investment-ready, the company said in a statement here. The 18 week programme comprises an intense development, mentoring and piloting platform for start-ups. "Bosch India is looking to partner and collaborate with start-ups that work on disruptive solutions in the areas of mobility solutions, smart manufacturing, smart cities, meditech, agritech and energy," said Manohar Esarapu, head of Bosch India's Start-Up Alliance programme. 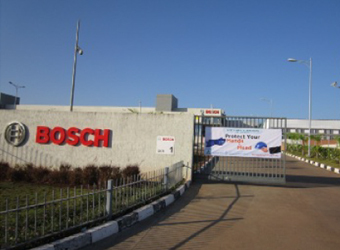 This platform offers start-ups the opportunity of gaining access to Bosch's working environment, it added. "Bosch is also looking to work with start-ups who could help build solutions in enabling technology areas such as, Internet of things (IoT), deep learning, analytics, cloud, virtual reality and block chain," he added. The chosen start-ups would receive personalised mentorship from Bosch experts in areas such as, engineering, scope specific domains, product design, operations, finance and legal, among others. Through this accelerator programme, selected start-ups can pitch to external investors as well as the Bosch ecosystem, such as its customers, suppliers and partners among others, he said. Bosch is also open to partnering with these start-ups in order to cater to new markets, apart from providing disruptive business models, the company said. It expects the exercise will help bring about transformational change helping it become agile and flexible while doing business, and also to hedge itself against possible disruptions often hovering over traditional businesses. "This programme will help Bosch diversify growth into areas beyond mobility solutions," Esarapu said. Bosch s DNA programme would provide support with scaling, industrialisation of products, market reach and design thinking elements that will enable start-ups to grow faster, it said.